Before I was a runner, I was a keen walker. 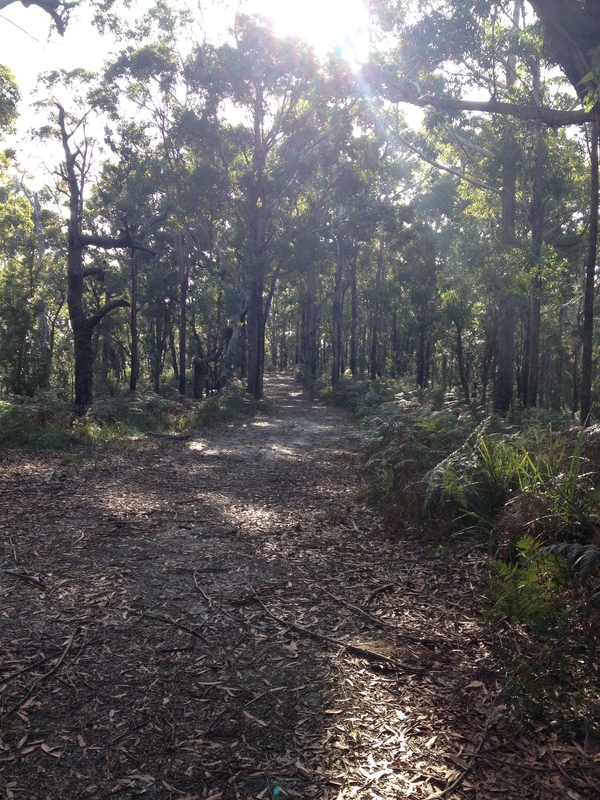 I walked everywhere and would travel for miles to find a good bushwalk. (I think we can now see why I took to trail running so naturally). For many years I had a dream of walking the entire Heysen Trail, or walking the entire coast of Australia. I would plan them in my head, but they never came to fruition because I was working, or having babies, or was out of money. As I’ve become a runner, these dreams have transposed into dreams of running them. I have done sections of the Heysen Trail whenever the opportunity arose, and similarly coastal sections of Australia. Now we’re travelling around the globe, I’ve set my sights on some of the world’s trails. As a family we have been talking of doing one of the Camino De Santiago routes in northern Spain. It’s high on our list of things to do and the plan is that I’ll run ahead each day and find somewhere to stay and Cass and the kids will walk and meet me. We haven’t set a date yet, but the kids are keen and we talk about it often. Recently we stayed in Porrua, Asturias, which is not on the Camino, but about 1km from it, and so there were a lot of opportunities to do day trips along it with the kids, and run sections on my own. As I was training for the Riaza Trail Challenge I was after some elevation so did some runs on the Camino, and some side tracks up the mountains. The Camino in this stretch travels through the coastal towns of Llanes and Poo (yes this name doesn’t translate well into English, but it’s a beautiful town). Peregrinos (as the walkers on the trail are known) can be seen on all parts of the track and they come in various shapes and forms. Some were retirees with very small packs, some were young solo travellers enjoying the disconnect and some were more like tourists with their eyes glued to the map on their phone. The latter were usually the sort to ask you for directions, even though they were the ones with the map. The trail winds through the rural areas between towns with occasional sweeping views of the sea. All of the towns are close together and the trail often takes the least-direct route and shows you the smaller, interesting laneways along the way as it detours to places of religious significance. It’s a pleasure to run the Camino, as the route is well marked so you never have to check your map (unless you are one of the aforementioned tourist types) and it is so picturesque at every turn. I’m glad I also took some of the side-trails as they also took me to picturesque areas where the dirt road was bordered by stone walls, and the mountains of the Picos De Europa loomed high in front of me. (The Travesera Picos De Europa run is in June for those keen on a brutally difficult mountain run). There’s so much more of the Camino De Santiago that I want to run, but this trip definitely gave me a taste of it. I like to do things that scare me. And mountain running definitely falls into that category. While we’re in Spain, I wanted to join a race, and while reading Trail Run magazine I came across the Riaza Trail Challenge. It looked absolutely terrifying. I love running trails which also means running a lot of hills, but ‘mountain running’ just sounded so difficult. So, I signed up, toying with the idea of doing the 40km, but eventually caving in a little to my fears (thankfully) and signed up for the 20km race. Elevation profile for the 20km race. We booked some accommodation for the weekend, and I set to training. My training was spot on. I was already in good shape, so I set to upping my distance. We’re also travelling and doing a lot of walking in general, so I knew I could easily manage 20km. It was the elevation that was going to be the problem. I had run this sort of elevation before, but not at this altitude, and I hadn’t been training for hills until I signed up. We were staying in a lot of places that didn’t have a hill to be found, so I made sure I included some stairs on each run. In the last week before the race, we stayed in Asturias, which is full of mountains and hills, so I found as many big ones as I could during that week. Unfortunately, something upset my stomach that week too, so my running took a bit of a dive. It still wasn’t good by race day, but I was determined to complete the race, so pushed on, making sure I stayed well hydrated. We arrived in Riaza on Friday afternoon, and had to wait to check in to our accommodation, so headed into the centre of town to pick up my bib and t-shirt. On the way, we could see the mountain that I would be running. It looked high. So high. Scarily high. You couldn’t see the very top because it was covered with with a cloud cap, but even then, it looked high. I was now really, really nervous. It wasn’t the distance that made me nervous, only the height. I felt strong in my body, and I knew I could do it. I just knew I’d need to fight my mind the whole way up. Later that day the cloud cap cleared and we could see the mountain more clearly. Since I knew my body could cope, why was I scared? The more I thought about it rationally, the more I realised that I had done everything I could to prepare and I was going to be able to make it. My goal: to make the 3 hours 30 mins cut off time. Race morning I felt great. I got up early, did some stretching, ate some toast with peanut butter and banana and headed off to the start line to watch the 40km & the 60km start. Unfortunately I missed it by 5 minutes, but getting there early gave me a chance to soak up the atmosphere and get excited. There’s a real energy around the start of a running event, and it is one of the main reasons I do it. I love solitary running in the wilderness, but running at an event gets the adrenaline pumping like nothing else. I couldn’t believe I was really going to do a mountain run. In Spain! My husband and kids arrived to see me off at the start line, and I could see my kids were worried. They told me they didn’t want me to get lost on the mountain, and that they were worried I’d come face to face with a bear or a wolf. We assured them that bears and wolves don’t live in these mountains and I gave them a kiss thinking ‘I don’t really want to get lost either’. I had the GPS map with me. I’d be okay. As the race started, the excitement was palpable as competitors were shouting, cheering and dancing. So much more exuberant than the start of a race in Australia. This continued for the first two kms of the race where people would randomly cheer, or clap. It made it so exciting. I was armed with a very specific plan of which inclines I was going to walk, and estimates of times at each kilometre. It all went out the window at the very start of the race. Another lesson in the values of plans, but the also the value of being able to abandon them. I had anticipated running the first two kilometres to give me a good starting pace, but there were so many people on the single trail, that it was bottlenecked. Everyone had to walk, and walk at a very slow pace and the trees were so close there was no overtaking to be done. I found this frustrating, but the random cheering and clapping kept me feeling good. I powered up the first 5 kilometres. I felt really good. I ran where I could and walked with a strong pace where I needed to. I chatted in Spanish to a lady in front of me who was doing the 11km. She told me I was crazy to go as high as the 20km. I felt she was right. At the 5km drink stop I was right on my target pace, but was already feeling the burn in my legs, and I knew this was the steepest part coming up. Letting some people pass me, I slowed down. I was feeling the shallower breaths required by the altitude (I was already higher in altitude than I’d ever been before). I took each step carefully and slowly. I am glad I took this approach as it got me to the 7km mark with good spirits. I paused for some breaths on the way up. Each time I did, I knew it would slow my pace down, but I knew there was still a lot of steep climbing to go. I started hearing that voice in my head, ‘you can’t do this’, ‘you’re already exhausted, don’t keep going’, ‘just stop and rest awhile’. I listened to it, and said to myself ‘you can do this’, ‘you’ve done harder things before’, ‘you did everything you could to prepare’ and ‘one step at a time’. I repeated all of these like mantras and slowly made my way up. I had to constantly battle the demons in my mind. As the incline got steeper and the air got thinner, I had more of these mental demons come and face me. I started feeling like this was the hardest thing I had ever done, couldn’t understand why I had signed up, and that mountain running really wasn’t my thing. People overtook me. I kept climbing. The tree line ended and the large rocks appeared. I kept climbing. The air chilled and I kept climbing. At the first peak, the views opened up and I started to feel truly alive. I stopped to take a couple of pictures. What’s the point of climbing a mountain if you don’t stop to appreciate it for a moment? The air up there was fresh and clear, the views were spectacular, and I felt like nothing could stop me now. The final ascent was exhilarating and the burn in my legs and the huffing and puffing couldn’t affect me anymore. They were just a part of being, and no longer caused any doubts in my mind. Finally, right at the top, there was a man, all rugged up agains the wind and the cold. In my limited Spanish, I understood him to say ‘You made it to the top, well done. All you have to do now is go down!’ I thanked him profusely. A quick look at my watch showed that I wouldn’t make the cut off time. I would have to run the last 10kms faster than I had ever run 10kms before. And I was already tired. Knowing that I would miss the cut off time released me from needing to keep a certain pace, however I didn’t want to be there all day, so I started running. The first part of the descent was a steep technical trail, very rocky, and covered with loose shale. I took it slowly. I wasn’t so hooked up on pace that I needed to injure myself. I picked my way amongst the shale and when the track widened up a little, and the shale was less, I started to pick up the pace. I kept a really fast pace and reduced my average pace so far from 14 min/km to 11min/km. I felt good. However around the 16km mark I hit a wall. I was feeling really tired. I walked some flat sections and tried to recuperate, and kept eating my snacks at regular intervals. I ran/walked a few kms, keeping a 10min/km pace but feeling really done in. The trail followed a fast flowing river, and even though I was tired, I was able to enjoy its beauty. Soon, I started being overtaken by the 40km and 60km lead runners. They were all looking strong. I was impressed. They shouted ‘vamos’ – ‘let’s go’ and ‘venga’ – ‘come on’ if any of them saw me walking and it really got me going. I ran the last two kilometres feeling mentally strong (but physically worn out) and I really think it was due to the encouragement from these people who had run so much further (and harder) than me. As I turned into the village, someone yelled to me ‘ya lo has hecho!’- ‘you have already done it’, and they were the best words I could have heard. With a renewed burst, I sprinted towards the finish line, and my kids joined me in the last few metres to cross with me holding my hands. I didn’t make the cut off time of 3:30, but made it in 3:47, and was really happy. It was the hardest thing I have ever done (let’s leave childbirth out of this) and I was so proud of how I managed it mentally and physically. I’m always telling my kids that bravery is when you are scared of something but do it anyway. I was the definition of brave that day. Watching the rest of the runners come in while drinking a beer in the sun,I thought to myself, that’s it. I don’t need to do a mountain race again. Good. Tick. Done. Two days later we went for a walk to the base of the mountain. It doesn’t look so big, I thought, I’d like to do that again. You may have never heard of Guadix, it is not on the usual tourist circuit, however this town is an excellent place to visit (and run). In Granada province, Guadix is a town with a strong history. Guadix has been inhabited since prehistoric times and is famous for its cave houses that have been occupied since the 11th century. Months ago, while hunting through AirBnB for our trip in Spain, we stumbled across this cave in Guadix [insert link]. We knew it would be an unforgettable experience for our kids to stay in a cave in the mountains of Andalusia, and it was much cheaper than staying in a bigger city, so on a whim, we booked 10 nights on the spot. On arriving in Guadix, we had no idea what to expect, and at the train station, it turned out that no-one had heard of the street our cave was on, or where the cave was. With the aid of some very resourceful cabbies, who stopped at least 3 times to ask friends how to get there, we eventually found our cave. It turned out that our cave was situated high above the city, with an incredible view of the cave district, city, orchards, fields and the snowy Sierra Nevada. One look a the maze of streets, caves and alleys and I wanted to go for a run. I patiently waited for the following morning when the kids were asleep, and set out for an easy dawn 5kms. I didn’t plan a specific route. Given the incline, I aimed to head sideways rather than down, so I could see as much of the city as possible from a number of angles. I headed west along the side of the hill and turned down any street that looked like fun. Each part of the city was completely different. The cave district was all white with terracotta roofing along the edges of hills, there was another cave district yellow walls. As I descended closer to the city, there were older terrace houses, new terraces that all look the same, and shopping districts. The climb back up to the cave was a good bit of bonus hill training. In the 10 days we had in Guadix, every run was completely different. Streets would lead to new and interesting places, surprises at every turn. Around one corner would be a plaza of trees, around another a picturesque church with gigantic wooden doors, around another a narrow alleyway full of the most incredible buildings, while some roads would lead up to lookouts where you could get a full view of sunrise. Running in Guadix was such an exciting adventure every time I stepped out the door. There were a few times when the trail runner inside wanted to head into the hills, however all the trails I could find were barred by private gates, so I never ventured in with a fear of offending someone. All the park gates were locked but very majestic. The best thing about arriving a new city is an exploration run. I was so excited for my first run in Madrid, I headed out around 6am in rain and darkness. I prefer trails so I decided to head to some of Madrid larger gardens to be amongst nature, however I found quite quickly that I was too early, and they were all closed. I decided to follow my nose and ended up seeing some of the city’s most impressive sites such as the Palacio Real de Madrid and the Catedral de la Almudena. There were no tourists around and I felt lucky to have these places to myself. View through the grounds of the palace. As the light started to build around dawn, I was able to see more of the buildings, gardens, plazas and shops. It was like the city was slowly being revealed to me piece by piece. So beautiful. Under the bridge that leads to the palace, I saw a large number of homeless people sleeping under the bridge. Such contrast between the opulence of the palace and the people who have no home to go to when the weather is so cold. Had only planned a quick 5km, but ended up running a slow 6.8km because I kept seeing things I wanted to look at. Was so cold and wet by the end but it was so worth it. Walked 18kms during the rest of the day checking out the sights with the family, so am glad I didn’t go for a longer run. Beautiful stairs to run up. After a big week at work, I decided to treat myself to a trail run on Saturday morning. I had been watching Mt Wellington all week, and so decided that I wanted to explore some of Wellington Park. Within my training plan, I was only supposed to run 5km so decided to catch a bus to Fern Tree to start my run up there. Fern Tree is a small locality on the edge of the park which provides an entry point to a number of trails and has a pub and cafe. The bus ride up was extremely picturesque, interesting architecture on steep hillsides as we climbed our way up the side of the Mountain. I had studied the Wellington Park map and decided to tackle the O’Grady’s Fall track which looped from Fern Tree to some falls, and then back to Fern Tree via Rocky Whelan’s cave. But as happens on trail runs, I took a wrong turn (I found some tracks were not very well sign posted) and ended up on the Radford’s Track. Both tracks were fun to run. It was a strong uphill climb, some of which I walked, but the ferns, eucalypts and rocky paths were stunning and the light was filtering in through the canopy. As always, I found my happy place on the trail. tempting to stop and have a sit down for a while) and a view of Mt Wellington. There was some signage that told me that I had arrived at The Springs. Originally a home site, the area is now a lovely picnic spot with lawns and a hut. A nice spot to stop on your way up to the summit (if that’s what you are doing – I would love to tackle it one day). After consulting the map, I took a route back down to Fern Tree that took me to Silver Falls via Reid’s Track (a very rugged downhill section that took me forever to navigate at a snail’s pace). The falls were beautiful and refreshing. I took a moment to enjoy them (and stick my head in!). Eventually I made my way back to Fern Tree only to discover that I’d missed the bus by 5 minutes and there wouldn’t be another one for an hour. I paced around Fern Tree for a while, trying to figure out if I should stop and get some lunch while waiting for the bus, or whether I should go for a longer run. While doing so, I noticed a lot of people disappearing down an interesting looking track so I decided to make it a longer run. It looked like it went the same direction as the road back down the hill, so I though I could always catch up at the bus at a different stop. of signage along the way describing the history. I ended up running all the way back to my accommodation in Hobart, as I figured it was easier than trying to find a bus stop. Luckily I had enough water with me. All in all it was a magnificent run that once again renewed my love for running. My next Hobart run was up to the Royal Tasmanian Botanical Gardens. Seeing the local Botanical Gardens when travelling is always a must for me. I love seeing how the plants from all over the world have been combined in a way that harmonises and creates such a peaceful setting. I followed a trail from the city up towards The Domain. A good uphill climb at the start of the run gave some beautiful views northwards up the river, and also eastwards across the river. I then followed a trail downhill into the Botanical Gardens. The gardens were spectacular, and I spent a bit of time zig-zagging around the paths. I had hoped to come out of one of the eastern gates to get onto the Intercity cycleway for the return run, but ended up getting stuck at a major road that was not passable. I eventually found my way through to the cycleway after a bit of retracing my path, and ran along the cycleway back to the city, with a short detour to the War Memorial. The cycleway wasn’t an interesting run. Fairly flat and with little to see. I wouldn’t recommend it as a great part of the run. The Botanical Gardens however was well worth visiting and was a very beautiful place to run. I’d like to go back with the kids one day and explore it, as there were a lot of beautiful nooks and crannies (and secret paths!) that they’d love to discover. Away again for work. What to do with my mornings? Go running of course. When in Melbourne, one is spoilt for choice when it comes to places to run. I thought I’d tackle a very popular route around Albert Park Lake. A 5.5km run from my accommodation at the Mantra St Kilda Road, around the lake then back again. The weather was perfect. Sunshine and not too hot. It seemed I was not alone in wanting to make the most of a beautiful day. The path around the lake was hustling and bustling with walkers, runners, roller-bladers and everything in-between. Work took me to Hobart recently for the MONA FOMA festival (which was amazing, definitely worth checking out). So on my rare moments when I wasn’t working, I took to the trails and streets and explored. I started by exploring the Greater Hobart Trails website which proved to be a great resource when planning my runs for the week. I didn’t have a lot of time for this run, so opted for a shorter run around Battery Point combining two runs from the Greater Hobart Trails website – the Sculpture Trail and the Battery Point route. It was a gorgeous easy run around the Georgian era buildings that Hobart is famous for. Some of the route I was following from the website was inaccessible, as I went early and there were some gates that were still locked for the day, but I found my way using a different route. Mount Wellington stands tall beside Hobart and is a sight to be seen. One thing I love about Mount Wellington is how different it looks every time you see it. I took a photo of it every day. On the right here it has a canopy of cloud as the dawn sun shines up towards it. This run was a great way to have a preliminary explore of Hobart. From this run, I discovered all the facilities would need (including some good whiskey bars!). The sculptures on the way kept my eyes up and at some moments I forgot I was running. I would highly recommend this run when you arrive in Hobart. A great way to start your Hobart adventure. Next stop on the holiday was in Halls Gap, in the Grampians, Victoria. This amazing place rises up out of nowhere, and has so much to offer. I could easily spend a month (or more) here exploring. 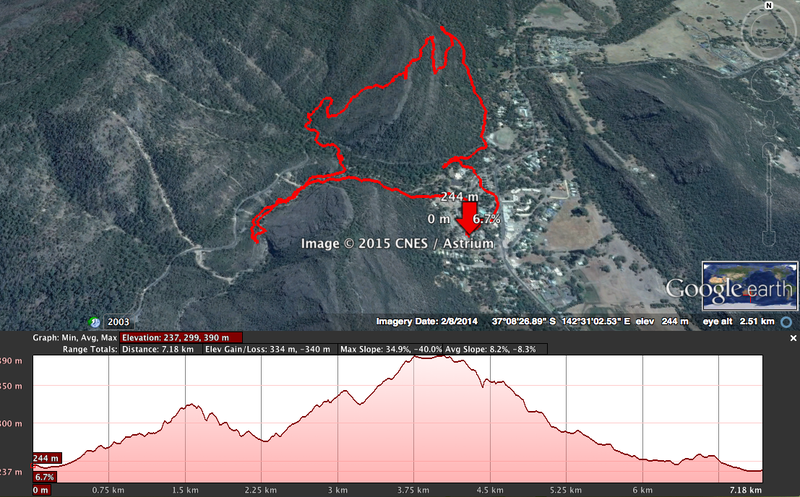 I was lucky enough to get out for two runs while at Halls Gap. We stayed at the caravan park in the middle of Halls Gap, which is flanked on two sides by the Grampians National Park. For the first run, I headed on the closest track to our campsite, which had a sign to Venus Baths (which sounded interesting!). It wasn’t far, and it was so beautiful I decided to bring the kids back the next day, so I headed further up the track towards one of the peaks. The climb was steep, and the rain was setting in so I walked some of it. Eventually the climb swapped from steep rock steps, to a steep rock face, with a handrail to pull up. I decided that in the slippery conditions, (and I hadn’t told anyone I was going up that way) that I should turn around. I wanted to go a few extra kms than I had, so on the way back, I thought I might take a little detour up towards Bullaces Glen. It sounded interesting and the sign said it was 2km, so why not? Once halfway there, there was another sign leading to Chatauqua Peak. I couldn’t resist, so headed up that track. Again the climb was steep, so I walked a large percentage of it, but it was well worth it! The view from up top was almost 360 degrees, and as the sun was setting, the golden light peeking through the rain clouds was amazing. My second Halls Gap run was pouring with rain, and foggy, so not so many snaps of that run, but I still managed a 7km alongside the creek and back down the bike track to our camp. I’d really love to spend some more time in this intricate place, to explore the trails and find what wonders it has hidden, as I think I’ve only really scratched the surface. I’d love to hear from others that have run any Grampians trails. Please leave a comment below. We’ve taken our little family on a camper-van adventure from Sydney to Adelaide, with a few detours, and I’m making the most of the time to run some trails. This is the first of a series of posts from my holiday runs. 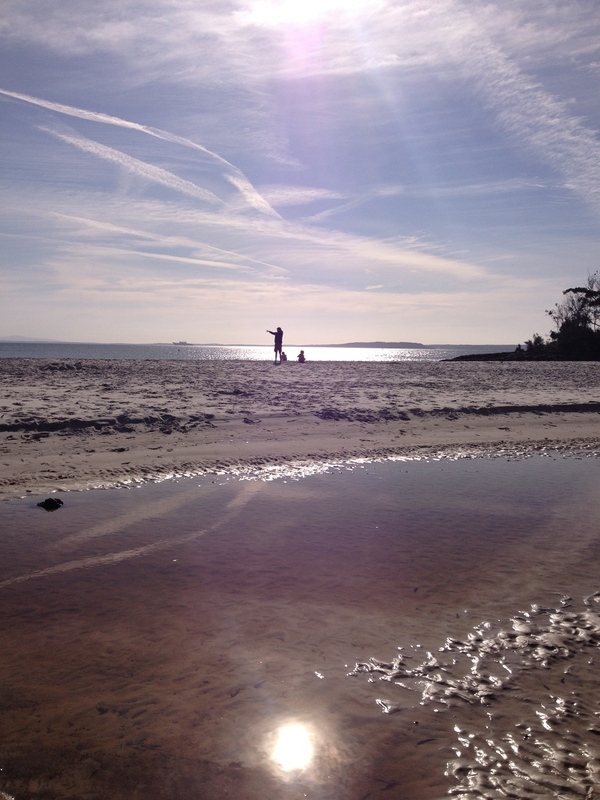 Our first stop was Jervis Bay, at the Booderee National Park. This is my second visit, and both times, it has been nothing short of paradise. Apart from all the wonders it offered the kids (they particularly loved the white beaches and the Botanic Garden exploring), it offered a very picturesque place to run. We were camped at Green Patch, so my run started there, and headed up to the hill behind the campground, following the Telegraph Creek Nature Trail. From there I weaved my way back to the road via some fire tracks, and made my way to the beach where my husband and kids were playing. Although it was mid-May, the temperature was perfect for running, warm but not hot, and less humid than my Sydney runs. Most of the trails were in heavy woodland, with the occasional view to the sea. The morning sun streaming in through the trees was beautiful. Later in the afternoon, we hung out at the beach, and I swam (well…floated) around while the kids played on the beach. If you’re in this neck of the woods, I strongly recommend spending some time at this National Park. It is more spectacular than you could imagine.